There will be a second collection taken up on September 9/10 at all Masses for the victims of Hurricane Harvey. Checks should be made out to St Mary with Hurricane Harvey in the memo line. 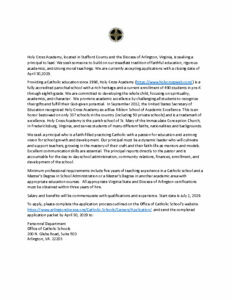 Additionally, donations are being accepted online by the Diocese at arlingtondiocese.org.